It is truly said that prevention is better than cure. The same is also applicable to the problem of Homelessness. Homelessness is a problem that snatches dignity from the person in question. The problem has been seen in large numberS all over the country, more particularly of student homelessness. 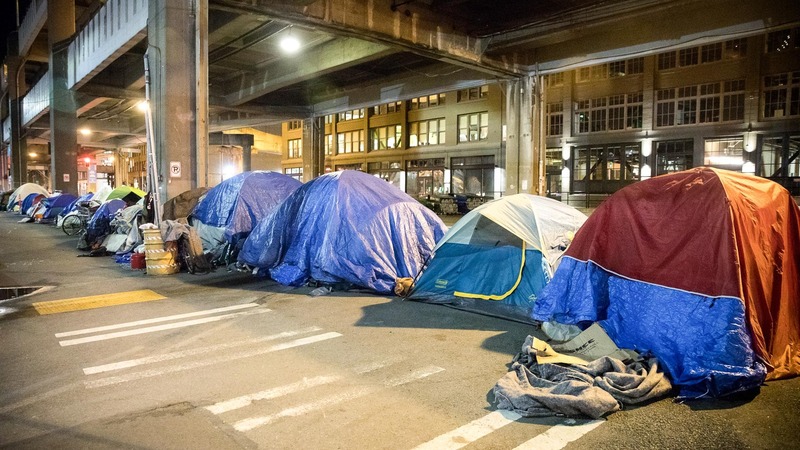 A new approach is being talked to check the growth of homelessness in the Puget Sound region, and it could soon be implemented in Seattle as well. The plan has its origin in Australia. The approach to end homelessness comes from the Australian city Geelong. The programme started in 2013, and a trio of schools screened every student studying at their schools regarding the risk of entering into homelessness or leaving education before the 12th standard. Then the schools connected those profiled students to the public and non-profit agencies which can provide them rental assistance, mentorship, counseling to keep them housed and motivated for obtaining an education. The Geelong project was given a $1.2 million seed grant, and the performance of this scheme was commendable. Since the project was implemented the number of students falling into homelessness was reduced by 40 percent. And the number of students leaving schools before 12th grade reduced by 20 percent. Implementing the same scheme, the Raikes Foundation based in Seattle raised $160000 grant to study if the same thing can be imitated in Emerald City, and thus become the first U.S. city for the expansion of Geelong. As per statistics, across the Washington State, the number of students without stable housing climbed 34 percent from 2012 to 2017. The rise of homelessness in public schools stands at 81 percent. Casey Trupin, program officer for the Raikes Foundation’s youth homelessness strategy, said that the programme if implemented would be a game changer and would help hundreds of students in preserving their future. In the Geelong project, there was a questionnaire given to each student. It generally asks about their home life, including where they slept the previous night; how many times, if ever, they have left home to stay with friends or relatives; if they feel happy or safe at home; and whether they or their families had enough money to buy food. Then the response given by them are recorded and studied for evaluation. If the student is at greater risk, he is interviewed and assisted with help. Canada has also implemented a similar project naming the Upstream project. The pilot project is happening in four schools in Ontario. The United States of America is in much need of a similar kind of project. If it starts with Seattle, then the chances of eliminating the problem of homelessness can be checked on a pilot basis. If it becomes successful, it will give way out for other states. If it has such positive effects in an Australian city then we can really hope for some noble outcome from this in Washinton State as well. This programme definitely needs community support and help to be successful. So, a large number of people should be associated with it and be united to fight against homelessness.